Going out to ring in 2016? , you can do so without having to pay for transit. TransLink is letting you ride for free from 5:00 pm on December 31st, 2014 until 5:00 am on January 1st, 2016 on SkyTrain, SeaBus and regular bus service. SkyTrain service will be extended by an hour with the last Expo Line train leaving Waterfront at 2:20 am, the last Millennium Line train leaves for VCC-Clark at 1:35 am and the Last Canada Line train leaving Waterfront for YVR-Airport at 2:05 am and at 2:15 am for Richmond-Brighouse. The last SeaBus from Lonsdale Quay leaves at 2:02 am and while the last SeaBus leaves Waterfront at 2:22 am. All transit, with the exception of the West Coast Express (which will not operate), will run on Sunday/holiday hours on January 1st, 2016. 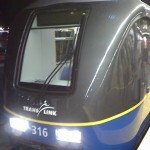 Starting at 5:00 pm PST on Tuesday, December 31st, 2013, TransLink will be offering free rides on SkyTrain, Canada Line, bus and SeaBus until 5:00 am PST Wednesday, January 1st, 2014. For SkyTrain, the last Expo Line train towards King George departs Waterfront at 2:16 am PST, while the last Canada Line train towards YVR-Airport departs at 2:05 am PST and Richmond-Brighouse at 2:15 am PST. The last SeaBus departs Lonsdale Quay at 2:00 am PST and 2:20 am PST from Waterfront. For Wednesday, January 1st, 2014, SkyTrain, bus and SeaBus will operate on their Sunday/holiday schedules with a one zone fare. There will be no West Coast Express trains running. Refer to TransLink’s Winter Holiday Service Schedules for further details. This New Year’s Eve, TransLink will be waiving all fares between the hours of 5:00 pm PST on Monday, December 31st, 2012 until 5:00 am PST on Tuesday, January 1st, 2013. It’s a great way to celebrate without having to carry change or drive to an event. SkyTrain will run extended service with the last Expo Line train departing Waterfront station at 2:16 am PST; the last Canada Line train leaving at 2:05 am PST for YVR-Airport and 2:15 am PST for Richmond-Brighouse. As for New Year’s Day, all transit service runs on the Sunday/Holiday schedule. Check TransLink‘s web site for additional schedules, route changes and other advisories. 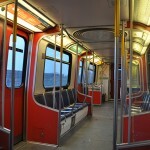 Don’t you wish you could have an empty car each time you take the train? It’s never a dull moment riding rapid transit here in Vancouver. There’s always some interesting conversation going on, provocative people milling about, or odd item left behind on (or under) the seats. While taking the train to Waterfront for the Canada Day fireworks earlier this month, I was sandwiched between two conversations that were miles apart. To my left, I had a couple engaged in a drunken babble while drinking from liquor bottles concealed in paper bags. On my right, however, was a debate between a group of friends over the circumstances someone should be called a doctor after receiving a degree from a university. If you’re not already aware, SkyTrain uses the honour system — there are no turnstiles to go through after purchasing your fare. During the rush hour in spring 2004, I had the misfortune of striking up a conversation with another rider on my way downtown for school. He went on and on about how he’s never purchased a ticket and that the transit police are always out to get him (I wonder why?). As the packed train stopped at the Patterson station, two officers poked their heads into the car to make sure everything was OK and not to check tickets. The guy saw them and bolted through the open doors onto the platform before the cops shouted at him and gave chase. I think they’ve met each other a couple times before. Headed downtown on a sunny late May morning, I picked some nice seats that had a view of a couple people going into Vancouver for, as they were loudly stating, the Roger Waters concert later that evening. It’s about 10:30 am or so, and I can tell they’re already drunk. Not only can I hear it, I can smell the cheap beer stagnating in the car. They weren’t being abusive to any of the other passengers, and no-one intervened or complained, so I got some cheap entertainment. I hope they had fun at their concert. I have contributed to the oddities on SkyTrain too. Wearing a costume while taking the train down to Waterfront to check out Fan Expo Vancouver always invites interesting stares and comments. So, if you ever see Soul Eater or Naruto (or maybe someone else! ), it might just be me. I know this didn’t happen on SkyTrain, or in Vancouver for that matter, but I need to share it. Back in 2009, a friend and I were taking the Brown Line in Chicago to visit a friend, when a man sitting across from us noticed we were wearing anime t-shirts. He asked if we were fans of anime and then proceeded to explain that he was working on the follow-up series to Avatar: The Last Airbender. Stupidly, we got off the train a station after the conversation started instead of staying on board to learn more. What we heard would end up becoming The Legend of Korra which just launched on Nickelodeon in April of this year. Stuff like this just doesn’t happen everyday! Heading out for a party on News Year’s Eve? TransLink is offering free rides after 5:00 pm PST until end of service on SkyTrain, SeaBus and normal buses. The last Expo and Millennium Line train leaves at 2:16 am, with the last Canada Line train leaving for YVR at 2:05 am and for Richmond-Brighouse at 2:16 am. On New Year’s Day, all buses and trains (excluding the West Coast Express) will follow the Sunday/holiday schedule. 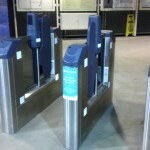 See more information on TransLink’s Buzzer blog. The Canada Line turns one year old today! 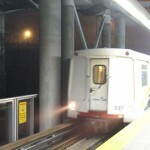 On August 17th, 2009, Vancouver, Richmond and the Vancouver International Airport all became linked together with rapid transit. Since it opened, the Canada Line has transported some 36 million passengers between the two cities. During the 2010 Winter Olympic Games, 3.88 million passengers rode the system between February 12th and 28th. Ridership numbers on the rapid transit line average close to 95,000 per day. Your face could be on this train! InTransit BC, the operator of the Canada Line, is trying to create Canada’s largest piece of moving art. The Pixel Train is a great way to contribute to the community and spruce up everyone’s commute. The innovative idea is to create a mosaic of the faces from those who’ve donated so that it covers an entire train. Depending on the size of the donation, the more money donated will allow a larger space for a portrait. Of course, those who are a bit shy or may wish to remain anonymous can select a drawing of a face done by a child instead of uploading a photograph. Proceeds from the Pixel Train will go towards the YMCA, Arts Umbrella, Hope in Shadows and BC Children’s Hospital Foundation charities.